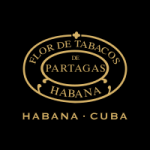 …countless new and innovative brands have been made in Cuba to meet the different tastes, styles and prices demanded by smokers around the world. Today there are 27 brands that are covered by the Protected Denomination of Origin (D.O.P.) Habanos.